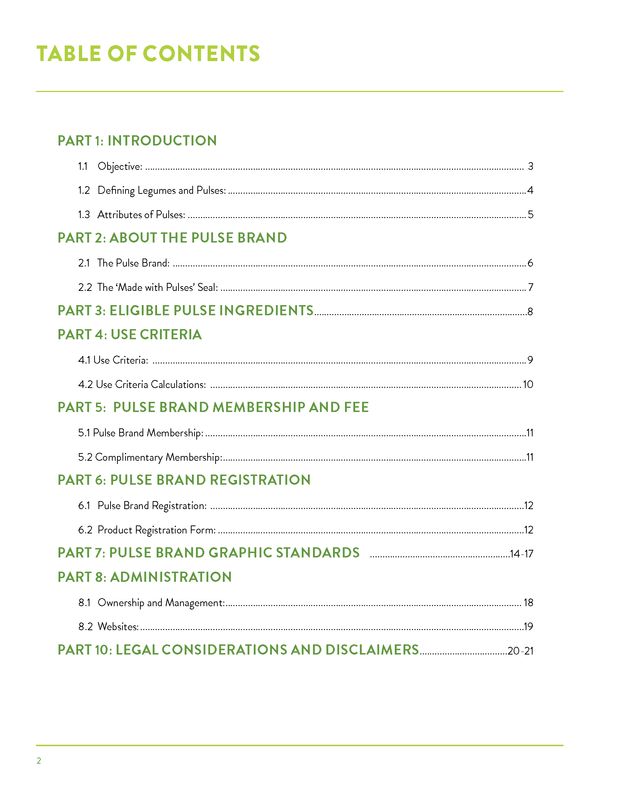 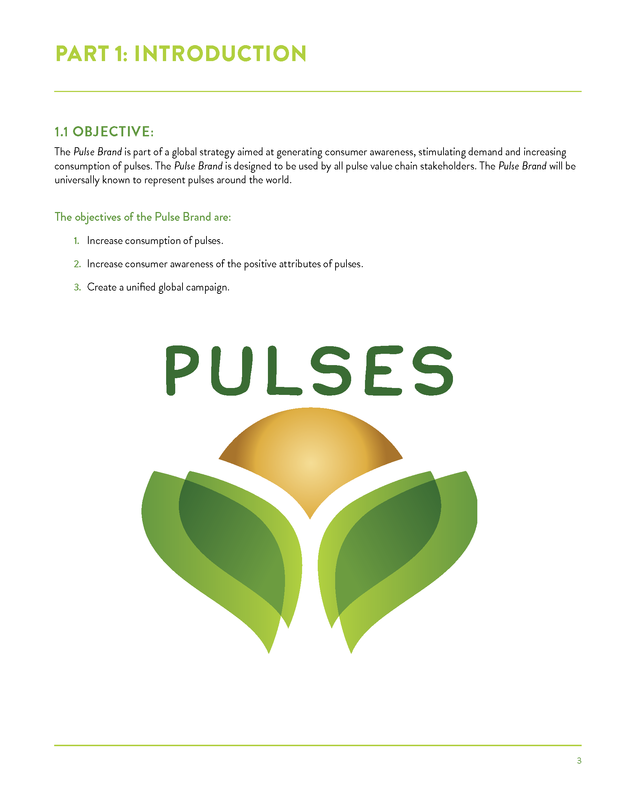 The Pulse Brand User Guide provides an overview of the Pulse Brand. 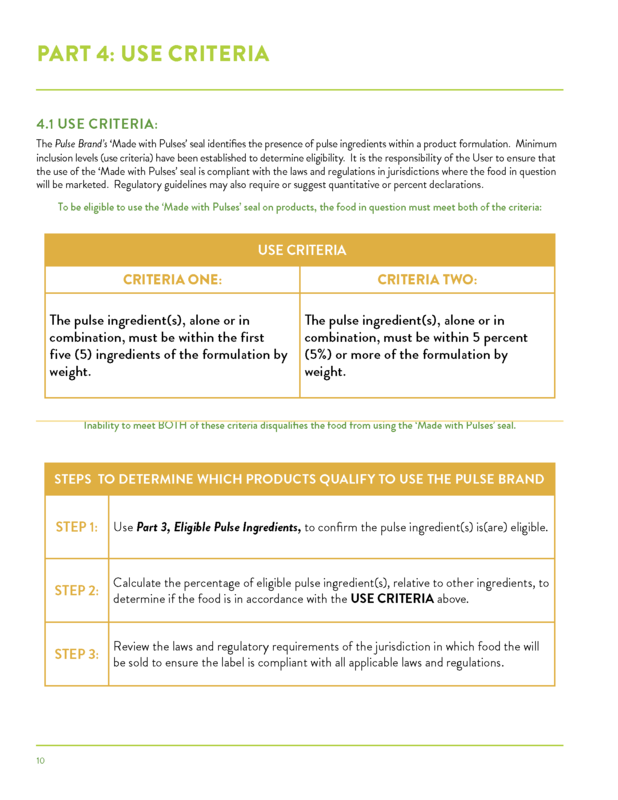 The User Guide includes information about the objective, imagery, eligible ingredients, use criteria, formulation calculations, regulatory facts and administrative procedures. 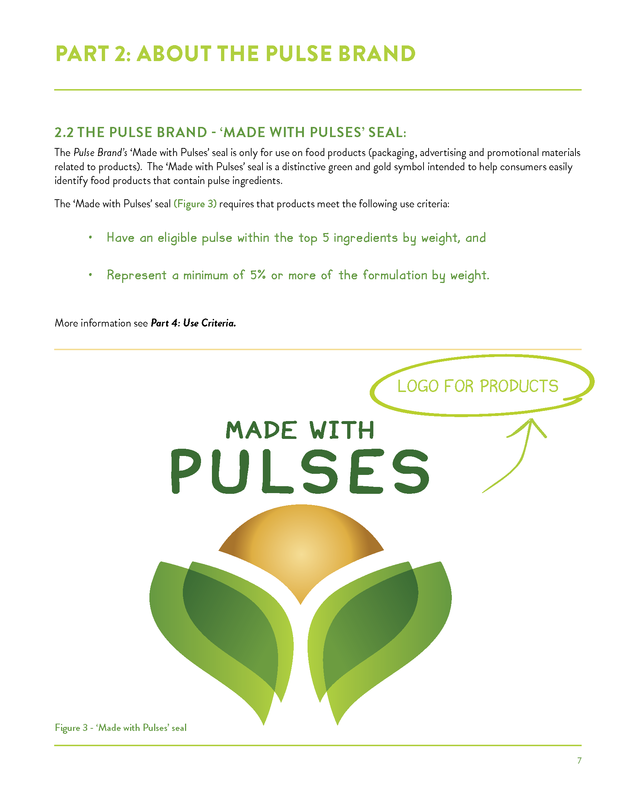 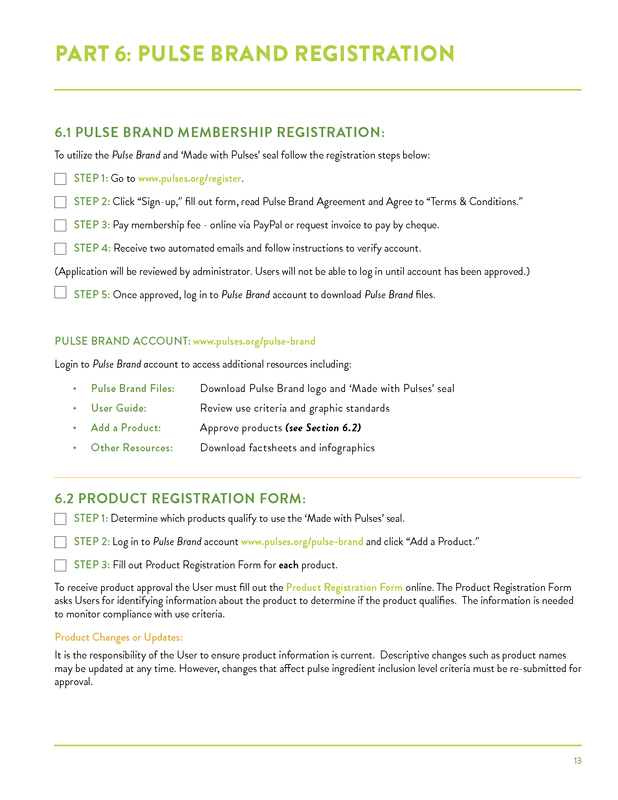 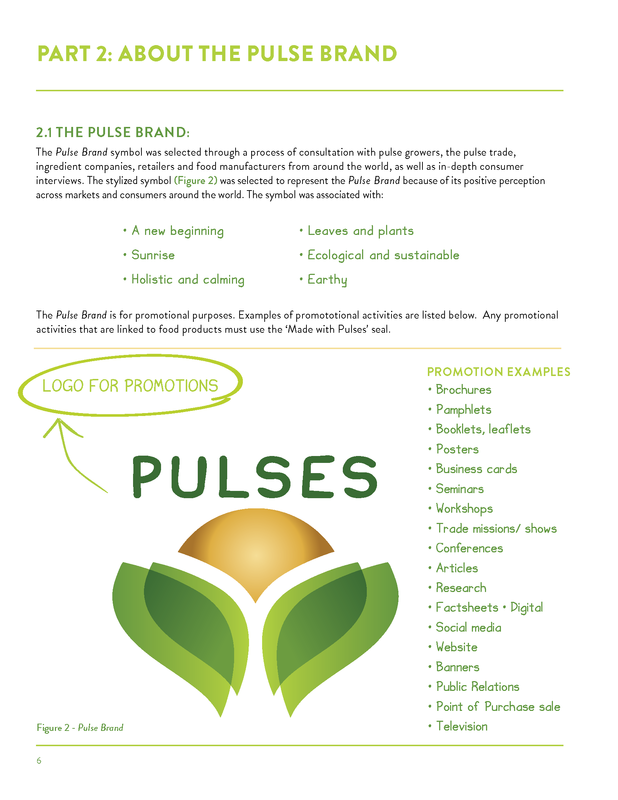 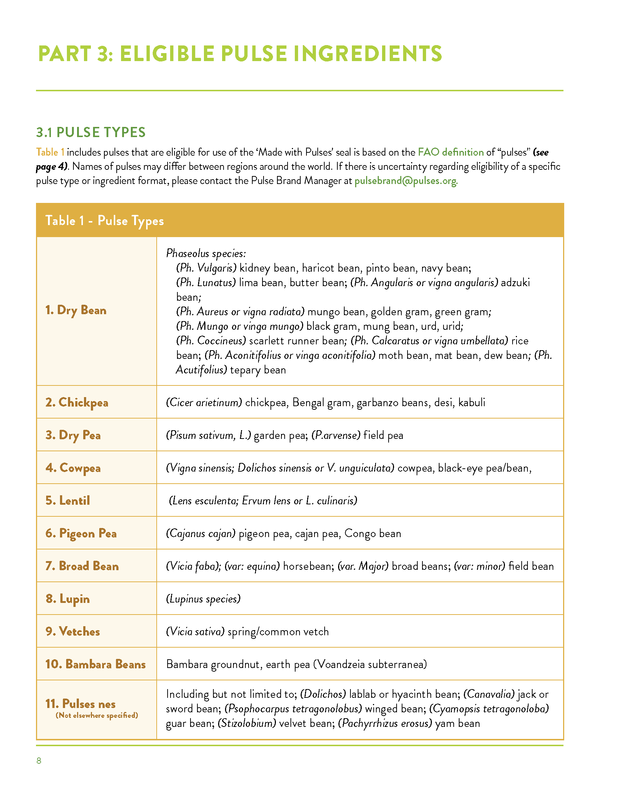 Check out Pulse Brand User Guide to find out if your products qualify to use the 'Made with Pulses' seal.